A 24-year-old man was found unresponsive with a fatal gunshot wound to his chest in University Village just after midnight Saturday, police said. 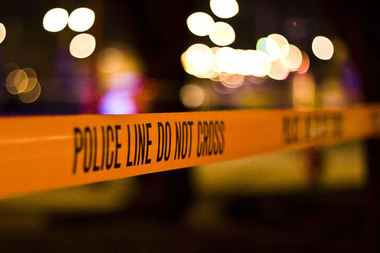 CHICAGO — Just after midnight in the University Village neighborhood, police discovered the body of a 24-year-old man who'd been fatally shot in his chest, according to police. The man was later identified as Ronnie Montgomery, of the 700 block of West Marquette Road in Englewood, according to the Cook County Medical Examiner's Office. Officer Jose Estrada, a Chicago Police spokesman, said the victim was found unresponsive on the sidewalk at 12:01 a.m. in the 1300 block of W. Hastings with gunshot wounds ib his chest and shoulder. While no additional details were immediately available, police said the man is a documented gang member. No one is currently in custody, police said.